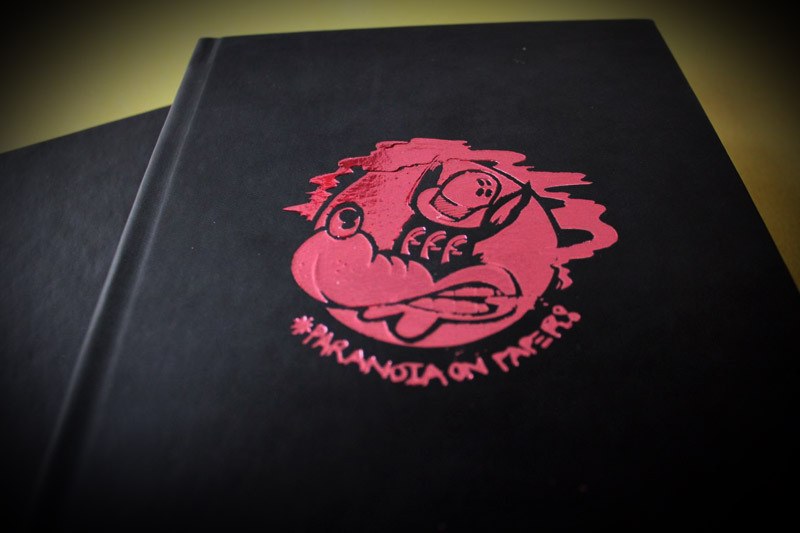 Last Thursday saw the launch of ‘Paranoia on Paper’ Collector’s Box Set in East London. A book which sees the combined talents of Sickboy and Word to Mother, ‘Paranoia on Paper’ Collector’s Box Set is a celebration of 5 years of sketching. This wonderfully crafted book comes in a handmade and finished presentation box with a tear out screenprint, individually signed and numbered by both artists. The box-set also include two dye-cast enamel Sickboy and Word To Mother badges, only available with this release. The book itself is a 125 page black box with a foil embossed cover, hardback and hand-bound and includes lots of other goodies inside from hand drawn comic stips to customized sticker pages! The edition is limited to just 50 and for those that missed the show last Thursday you can now purchase a copy online for £150 from Fluorescent Smogg here. 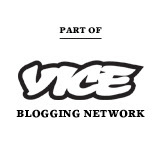 Check the video below to get an idea of what has gone into this beautiful publication.